The phenomenon called life has two components: the first is biochemical, while the other pertains to energy. These two aspects can exist separately, but not in a form recognized as life on planet Earth. Energy animates matter by penetrating it. Its withdrawal from the body signals clinical death (when EEG and EKG can no longer be detected). Clinical death initiates the process of decomposing the body into the smallest biochemical particles. We are all built from these two components - biochemical matter and energy. The energy that animates the bodies of humans and animals is known as bioenergy – the energy of life. This force surrounds every cell like a miniature wire, providing a blueprint for the physical body and also serving as a medium for the flow of information throughout the body. Bioenergy also extends outside of the physical body, creating low frequency electromagnetic fields around us (as well as other subtle energy fields not yet recognized by science). In a larger context, bioenergy is an inseparable component of the Universal Energy. A skillfull bioenergy practitioner can detect these fields of energy around the body, as well as energy flows within the body. Everything that happens to the physical body is reflected in its energy flow around the body and vice versa. By working with these flows and fields of energy the bioenergy practitioner is able to restore the balance between biochemical and bioenergy components, resulting in the improvement of health. An appointment for a Bioenergy treatment? A Bioenergy treatment takes 15 to 25 minutes. In the first 72 hours after the treatment it is good to drink a lot of (pure) water, so that the body can dissipate the waste well. Bioenergy treatments can be given in all situations. It is not age dependent and can also in collaboration with primary care (doctors) and complementary care. Bioenergy treatments are in our practice and in a number of locations in Netherlands. 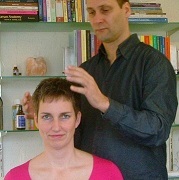 It is also possible to make an appointment for a Bioenergy remote treatment (with photo). Jan and Jantsje have followed a large number of schools in the U.S.A.., including the Master Level Training of Bioenergy at Mietek Wirkus School of Bioenergy (U.S.A.). Now they have more than 10 years of experience in this work. Get a Remote treatment Sessions (through photo). You will receive from us an email message for every treatment, directly when the remote treatment has taken place. If you have interest, please send a photo (whole body) to info@selfhealing.nl. It doesn't have to be a recent or beautiful picture.